Our Scot Explorer was stuck in Buckie last week because of the storms that hit the UK. In the extremely rough weather she couldn’t work, even in the shelter of the harbour. 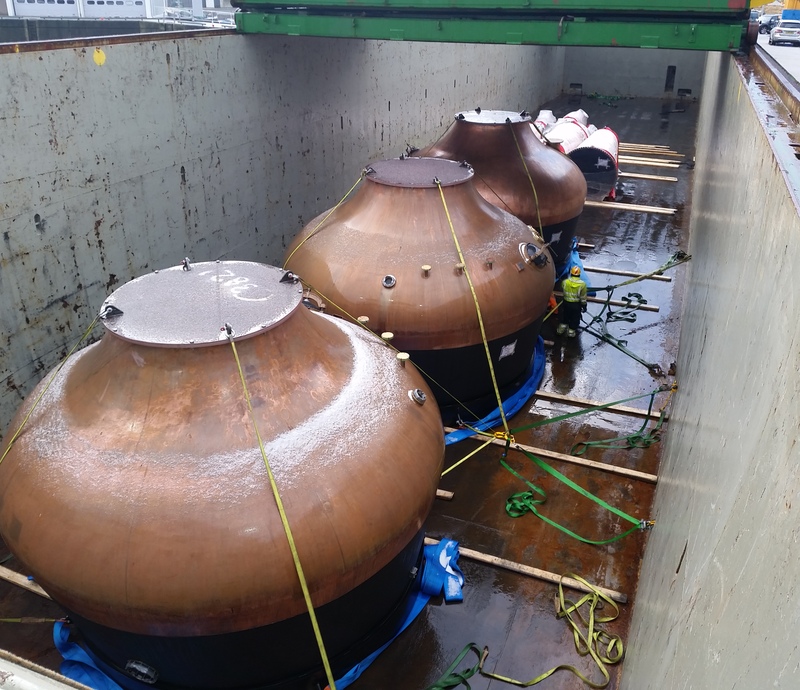 She was in Buckie to load an interesting project cargo of whiskey distillery tanks. The destination for these is the Jameson’s Old Midleton Distillery in Cork.